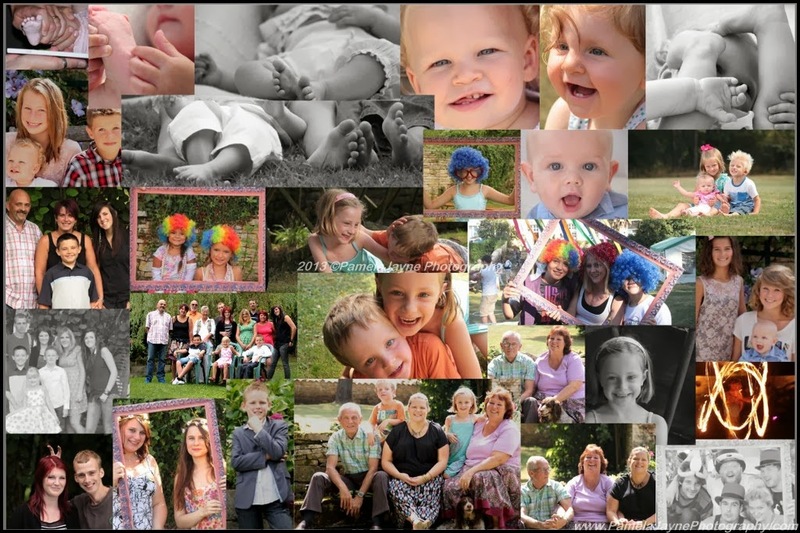 PamelaJayne Photography - Making Memories & Life through the Lens: Not so good at this Blogging really! Not so good at this Blogging really! Well there's me thinking I would blog at least once a month....seemingly I can't even manage that now! BUT still I do have great reasons - work, work and a bit more work! 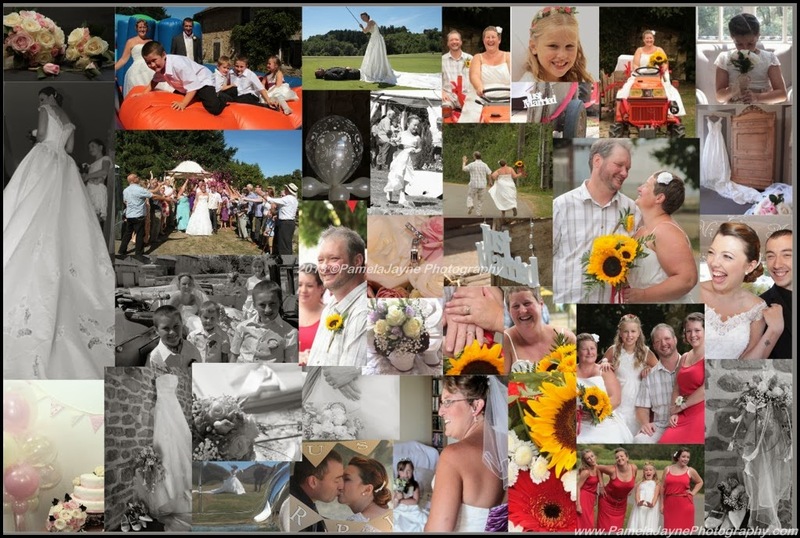 Yes this summer has been fast and furious when not selling the photocards and Photographic prints at the Foires and Markets I have been sharing some wonderful days with fantastic couples and lovely families taking photos of their special time! I can't believe we are now in October - which means Toussaint in about 3 weeks time - 2 weeks half term holidays....I am pleased however as I am now getting bookings in for the pre-Christmas photos. As this year we are making calenders again and of course offering a "Family Calendar". August was brilliant we had visitors - my cousins we had 3 days of fun and laughter and catching up - always a good thing and I had a "masterclass" from a wonderful photographer http://gdphotographer.co.uk what a talented and passionate young man - and I would not hesitate to use him for any special events we have here! You can see his passion through the lens and he even managed to get a decent photo of us lot! We have been on some great bike rides - but we did plan on one around part of the Marais Poitevin - it's a must! if you love cycling and walking then the routes are fantastic. Clearly signposted and go on for miles of nature at it's best - yes you do have to cross the odd road every now and again but it's still easy to get around and see the area. At this point we had just come up quite a steep hill and found we were a little lost! But we were soon on our merry way thanks to a very kindly gentleman that wanted to chat and guide us - we ended up following a pretty route and so glad we didn't find the shortcut - which we cycled past some 5 kms later! Would be rude not to stop after 2 hours and have a sip of something cool! Heron waiting for his catch of the day! Ok So I walked up the first time and walked down again but faced my fears and stayed on the bike for this one - it's really steep I tells yer! Second pit stop and a lovely snack lunch this café in Magné only opens for the month of August and is run by the Mairie of the town, it sells soft refreshments and pizza - and of course ice-cream :D never did 2 Perriers look so enticing! Back to Coulon and after waiting the other side of the bridge we get to see what we have been waiting for! madness really!! After 5 hours we are ready to go home - sort of! For the rest of August it passed in a blur - 3 Weddings, "Making Memories" Family photoshoots, Music festival at The Mad Hatter's Kitchen and a "Making Memories Day" with my lovely friend over at Les Ceramiques de Linda! From Baby feet to Fire to family what a great month!